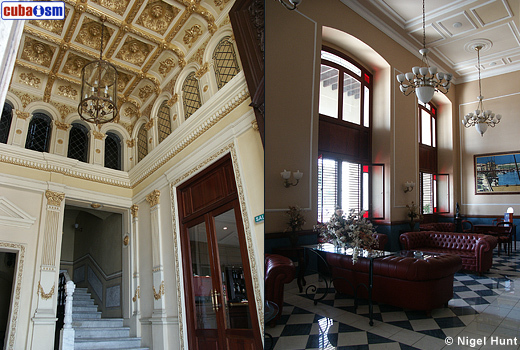 hotel armadores de santander .info - An Old Havana Hotel with the Santander architecture style. 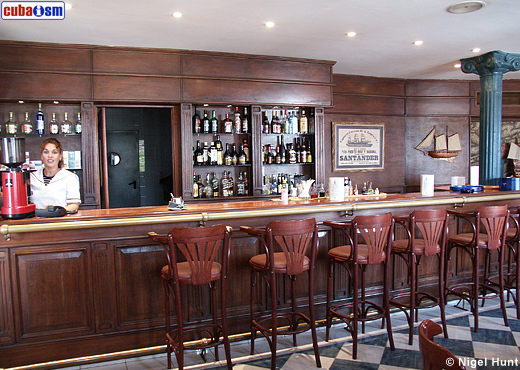 The 4 stars Hotel Armadores de Santander, is located in the Luz street No. 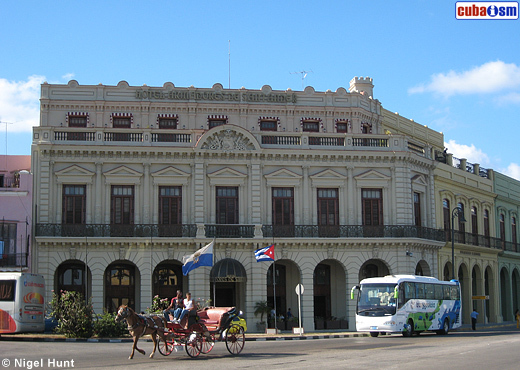 4 cornering to San Pedro street in La Habana Vieja, constitutes another rescued jewel in Old Havana, which reopened its doors in the 2002, with a complete restoration that returned the whole glory to this. The Hotel Armadores de Santander (which means "Shipowners of Santander"), stands up majestically On a corner on Havana’s Avenida del Puerto, remembering in its reasons and intern decorations to the style of those buildings located in the marine beautiful county of Santander (Spain). Decking out the facade, the shield of the Santander city situated in the high part of the main building and in the wide portico, hang big streetlights, similar to those used in the embarkations of the past. 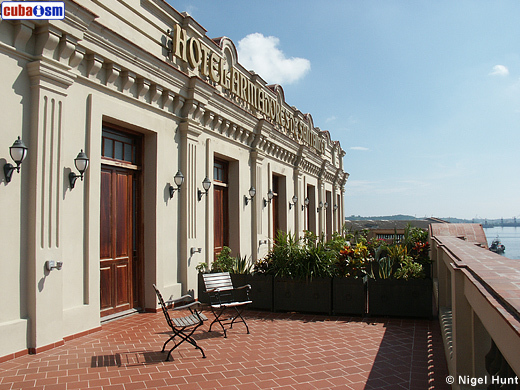 Hotel Armadores de Santander that becomes of the XIX century, it’s conformed by three constructions of different times rehabilitated for the acting of this new function (differentiated by different colors), signal two of them with the numbers 356 and 358 of the San Pedro street and the third with the numbers 2 and 4 of the Luz street, constituting this last one the main body of the hotel. The first one is of eclectic construction and the second of neoclassical architecture. In the colossal door of entrance of the main building initial J.C is recorded, that they agree with the builder and owner of the property, José Cabrero Mier. The name of this hotel is due to that important shipowners of this region of Spain had their offices in this building. For the visitors, the Hotel Armadores de Santander offers a comfortable lodging, with all the necessary facilities for the leisure time in a characteristic environment of an urban ambience, where the comfortable lobby-bar La Marina with big French windows receives you and guide you unto the portico, separated by a small living room that sticks out by his own golden baroque style, with a bar, on the other hand, that it evokes inside the intimacy and the dimness of the excellent spaces. In the rooms of Hotel Armadores de Santander you can enjoy the freshness and the delight of the sea breeze, as well as the terrace- balcony (last floor), possess the privilege of visualizing from their balconies the ships that comes near and leaves the bay. This last one, place where you can taste tropical cocktails or be used as to breakfast, allows to contemplate the most beautiful sunset in our Caribbean island. The excellence of the Cantabria restaurant is summarized in the careful attention to its diners and in the typical exquisite meals of the Santader region and of the international kitchen that there are made. For the demanding flavors, the hotel has a welcoming billiards Room with permanent exhibition of interesting and fascinating pictures of billiards plays and engravings of Colonial Havana. The allusion to the marine topic relaxes, by means of a mural that reproduces the port city of Santander, as well as with a galleon and a sailing ship, manufactured in detail by the artist of Matanzas city Joel Peláez. It has been inserted to the decoration old pictures of announcements of itineraries of Spanish vapors of passage and loads, many of which sail in Habanero. 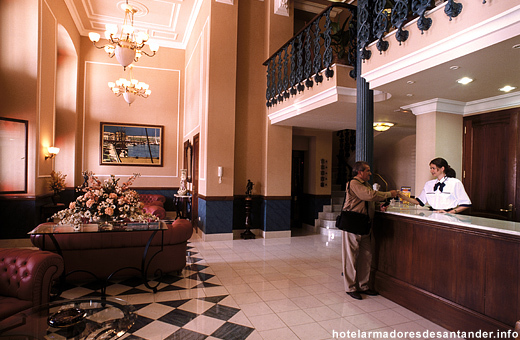 All those characteristics makes the Hotel Armadores de Santander be an unique offer, impossible to reject for those who go to the island in search of a contact with the Cuban past. 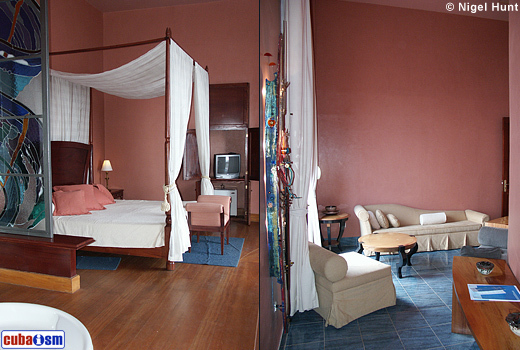 Welcome to my site dedicated to the Hotel Armadores De Santander in Old Havana. I am "poco a poco" researching and updating it with the aim to provide as complete as possible record of the hotel's ancient and recent history; bearing in mind that the goings-on today may one day be of historical interest.